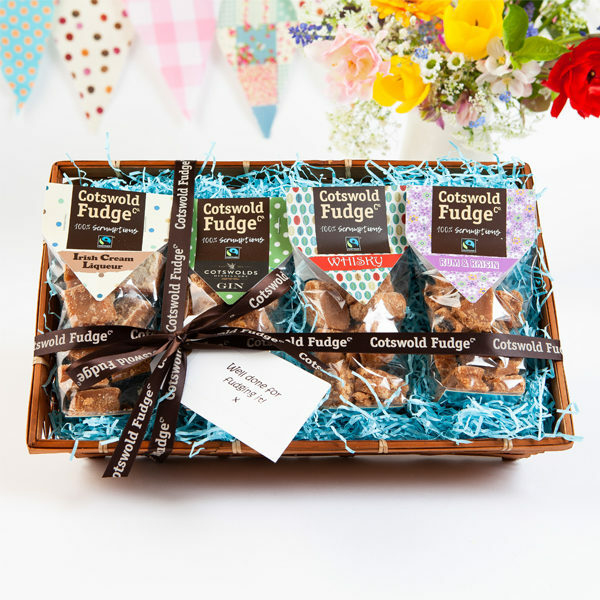 Our fudge hampers make an ideal gift or thank you for someone special, or someone with a sweet tooth (or both!). Each attractive bamboo basket features four of our fudges, and is cello wrapped to keep it pristine in transit. Each hamper will have a different combination of flavours, all of which are gluten free; if you have any specific flavour requests, or would rather have a nut or alcohol-free selection, please message us at the time of ordering and we will be happy to accommodate your requirements.